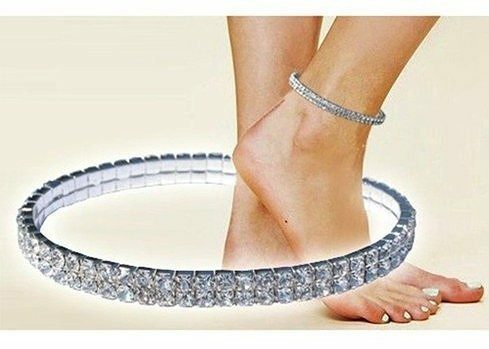 Stretch Anklet w/ Swarovski Elements Only $4.99 Shipped! You are here: Home / Great Deals / Stretch Anklet w/ Swarovski Elements Only $4.99 Shipped! Love this! What better way to show off your spring/summer/faux tan than a little bling around your ankle! The Double Row Stretch Anklet w/Swarovski Elements for only $4.99 Shipped adds a delicate (and unexpected) touch to your outfit!